When you are looking for any kind of a service, including plastic surgery, there are choices to be made about how to locate and select the right person to provide that service.  Currently, many who are considering plastic surgery look to the internet first, and search for whatever procedure or treatment they are interested in having. That process may also involve exploring online ratings and reviews for physicians who perform these specific cosmetic services. If you are reading this, you have already opened my website and found your way to the blogs. Keep in mind that when you perform research on the internet, you rely on your selected search engine (Google etc.) to deliver relevant results and rank them from best to worst. Be aware that the criteria your search engine uses to prioritize results may not align with your personal criteria, so it’s important to browse through several entries to evaluate the findings for yourself (if nothing jumps out immediately). At any rate, a web search is a great starting place for your plastic surgeon search—it can provide you with contact/location information and some idea of what that surgeon does. The testimonials and reviews can also be quite helpful.  Another feature that a website may provide is access to a gallery of plastic surgery before-and-after photos, which can give you some idea of that surgeon’s work. Another, probably more useful, method for finding a surgeon is to ask friends for recommendations. For cosmetic surgery, this can be difficult if you do not want friends know you’re considering undergoing a procedure. One key benefit of asking for a recommendation is that you will likely receive suggestions for surgeons who have established reputations and experience. Personally, I spent a lot of time earlier in my career in the emergency departments, caring for injured patients. That provided great experience and exposure to a lot of people, which has proven to be a good thing for my private practice. Sometimes it is possible to ask about a physician without revealing you are interested in cosmetic surgery—provided he or she has performed other medical services in the community. Once you’ve made the decision to visit a particular surgeon, the way you are treated during the visit is important. Because you are there at your discretion, attention should be given to your comfort and convenience. The demeanor of the staff, attention to detail, and effort to understand and address your individual situation should be obvious. Staff interaction and consideration can make a big difference in the experience you have. Keep in mind that your decision is not truly made until an operation or treatment is scheduled. Finally, you should have a good feeling about your “chemistry” with the surgeon. It is hard to define this feeling, but at the most fundamental level it is usually a sense that you either do or do not trust the person. Would you be comfortable with them doing something important for you? Would you trust this surgeon to use their best judgement when making treatment recommendations? Or respond appropriately to a question/choice that could arise when you are under anesthesia? If that level of confidence is missing, it is a good idea to continue your search for the right plastic surgeon. If you would like to schedule a personal consultation with me, Dr. Jeffrey Copeland, please contact my office and speak with a friendly member of the office team.